If you have been charged with fraud or financial crime in Columbus, Ohio or any of the surrounding areas, contact Burke, Meis & Associates to discuss the facts of your particular case.Attorney Adam Burke is experienced and knowledgeable with fraud and will make every effort to fight the charges against you. Contact Attorney Adam Burke today for a free consultation at (614) 280-9122. Attorney Adam Burke is experienced and knowledgeable with fraud and will make every effort to fight the charges against you. Contact Adam Burke today for a free consultation at (614) 280-9122. There has been an upsurge in fraud and financial crime around the country over the last 30 years, including in the state of Ohio. Ohio law strongly discourages fraud and financial crime of any kind and imposes harsh penalties. Penalties for financial crimes can include prison time, fines, and asset forfeiture, which substantially hampers the growth and development of a society and negatively affects its stability. To commit fraud is to knowingly, by deception, obtain a benefit for oneself or someone else, or to knowingly, again by deception, cause something bad to happen to another. An example of fraud would be a person pretending to be an employee of a prestigious bank and stealing any money given to him by trusting citizens. A common fraud committed in Ohio would be credit card fraud – a financial crime. You may be charged criminally if you write a check for an amount that is not there in your account. Depending on the value of the check that has bounced (a bad check), you may have to face a 6-18 month prison sentence and pay up to $5000 in fines. Credit card embezzlement is another common fraud committed in Ohio. Usually, it is considered a misdemeanor of the 1st degree, and carries a $1000 fine and a jail term of 6 months. If the law is broken multiple times in a period of 90 days, it may carry a harsher prison sentence of anything between 6 months to 8 years, depending on the severity of the misuse. It may also attract fines of up to $15,000. If you are arrested for a fraud and/or financial crime, you need to hire a qualified and experienced attorney to discuss the particular facts of your case. It is important to have a defense attorney to help you come up with the best possible defense. 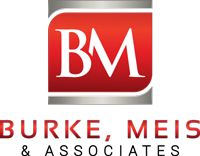 Contact Attorney Adam Burke of Burke, Meis & Associates for your free consultation at (614) 280-9122.